Once again, Idaho officials have announced that they plan to allow hunters to target the 1,000 wolves in Idaho, shooting and killing up to 220 wolves during this hunting season alone. The aim is to reduce the population by half, which will kill parents and leave many orphaned wolf cubs to starve to death in the harsh winter months ahead. And all this is happening because Secretary of the Interior, Ken Salazar, has rubber-stamped a Bush Administration decision to delist the wolf as an endangered species, though every scientific study done to date emphasizes that the population has not fully recovered and continues to be targeted by cattle ranchers, bounty hunters and ignorant state governors pandering to the hunting community. If you have ever had the opportunity to see a wolf in the wild, as I have, you would never believe anyone is capable of the cold-blooded slaughter planned in Idaho. Yet in just a few days, more than four thousand - of an estimated 70,000 - wolf-killing permits have already been sold, so I urge you to please help Defenders of Wildlife save these wolves. 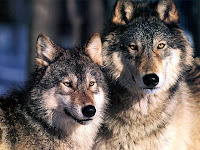 Go here and fill out the form to send President Obama a message urging him to halt Idaho’s horrific wolf hunt and restore the Endangered Species Act protections for gray wolves in Idaho and Montana. It will only take a few minutes of your time and it could save these magnificent and misunderstood animals for future generations. Thank you! This week, the United States lost a great man, an icon from a legendary political family and a tireless champion for human rights. 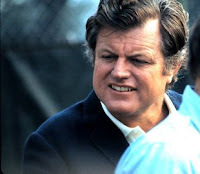 Fallible, charming, often overshadowed by his late brothers, Ted Kennedy created an indelible role for himself in the Senate, where he fought t hroughout his career for equality for all Americans. From his stance against the first invasion of Iraq to his dedication to women's rights, gay rights, and government-sponsored healthcare that would support the thousands who struggle every day in an insurance-dominated system, Ted Kennedy never wavered in his resolve or devotion to public service. Farewell, Ted Kennedy. You will be greatly missed. My partner and I are off to southern Spain and Madrid from September 2 - 18. I'll bring back photos and stories, as I'm meeting up with a book group in Marbella to discuss THE LAST QUEEN. I'm also seeing family and friends, and touring Sevilla, Granada and Cordoba. On the book news front, I recently received approval for my revisions to THE CONFESSIONS OF CATHERINE DE MEDICI, which is exciting. Publication is scheduled for May 25, 2010. I'll keep you posted on developments; for the moment, I'm eagerly awaiting the copyedited manuscript and looking forward to first drafts of cover art - one of the fun parts of bringing a book to print. While I'm gone, I have two fantastic guest posts lined up: On September 1, Michelle Moran will visit in celebration of the upcoming release of her third novel, CLEOPATRA'S DAUGHTER. Michelle will be blogging about the importance of ancient libraries. Have a safe and fun end of summer, and I'll look forward to catching up with you on my return! Here are the 5 winners of the INVASION giveaway, as determined by random.org. Please send your full mailing address to me by August 12 at: cwgortner[at]earthlink.net so I can forward these to the publisher, who'll mail out the copies. Congratulations and thanks to all of you who entered!